You've heard the song (probably a million times last week)...Now see the video! 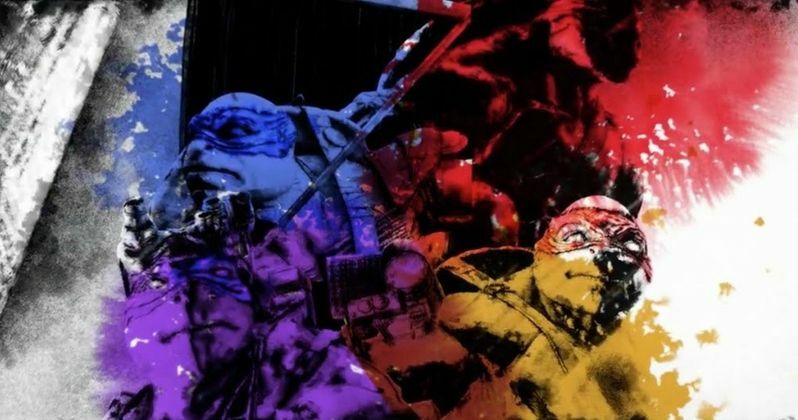 The official Teenage Mutant Ninja Turtles theme song is here, along with new footage as Wiz Khalifa, Juicy J and Ty Dolla $ign bring their Ninja Rap 'Shell Shocked' to life. Featuring cool comic book graphics and a bunch of new footage, including the best look at Splinter seen yet, this sure-to-be hit single also features Kill the Noise and Madsonik. Watch as the four brothers from the sewer show off their mad skills while grooving to a tune made just for this generation. If you don't dig it, you're probably just too old, gramps!